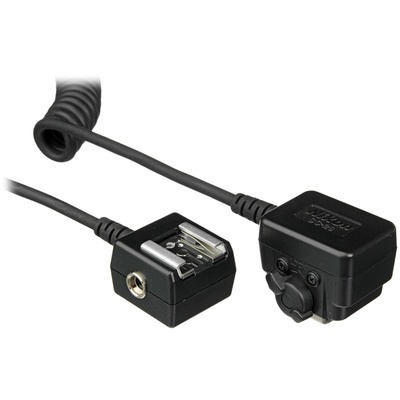 Product #5409 | SKU FSG02601 | 0.0 (no ratings yet) Thanks for your rating! Coiled cord for placement of a range of speedlights off camera. The SC-28 provides full TTL control for Nikon Speedlights when used off camera with Nikon SLR cameras which have the TTL hot flash shoe. Approximately 3 m long & coiled, it permits easy use of flash when the camera is mounted upon a bracket. Used for placement of SB-900, SB-800, SB-600, SB-80DX, SB-28DX, SB-28, SB-27, SB-26, SB-25, SB-24, SB-22 off camera.